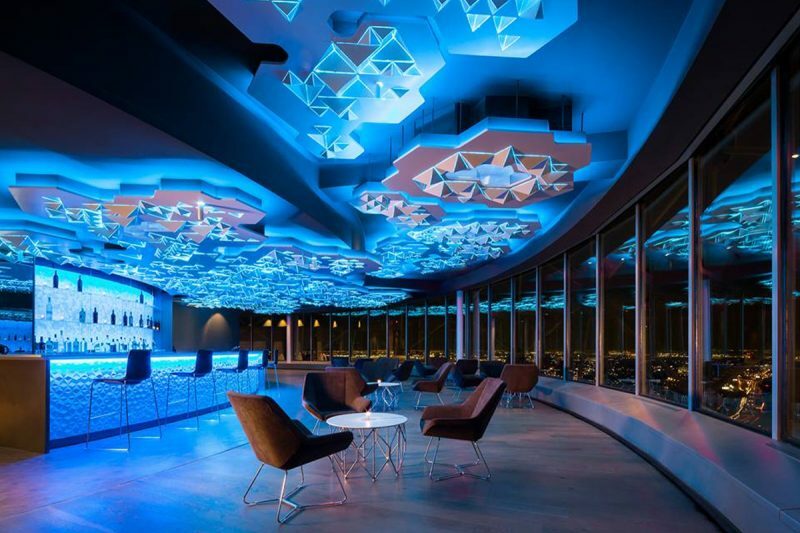 One level up from the GeO-Deck you’ll find Cloud Nine Cafe, Reunion Tower’s spot to kick back and eat up while taking in the view. With it’s sleek interior design, on premise food & beverage service, and versatile floor plan, Cloud Nine is the perfect venue for parties, baby showers, luncheons, or any other gathering you want to take to the next level. Cloud Nine can accommodate up to 300 guests for parties, or 220 guests for a sit down lunch. The space can also be divided and booked in part for smaller gatherings. To learn more about planning your next gathering at Cloud Nine, contact us today!